You heard it right, the US drone operators cannot distinguish between boys from girls but they call the drone strikes in North Waziristan efficient yet they were forced to question their efficiency when US drone killed two of its own soldiers; one Marine staff sergeant and a Navy Corpsman while they were creeping from behind to aide the Marines under fire, the drone operators could not distinguish them from Taliban through the lens of infrared camera and shot a Hellfire missile killing both of them. So the US Air force is pretty serious to address this issue as it has had problems distinguishing men from women and adults from children that mean they have killed the wrong persons “sometimes”. 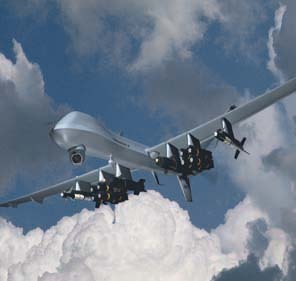 This contest only requires a written proposal and the winner shall walk away with $ 20,000 and the pride of saving many innocent lives as CIA’s Director Leon Panetta has recently told that they won’t halt drone bombardment in Pakistan as it is his job to protect Americans some 7,000 miles away. The real problem faced by the drone operators is about differentiating militants and civilians because in tribal areas as well as Afghanistan, it is hard to tell apart the two. For example take the recent L.A. Times story on how drone operators mistakenly targeted 18 people including children, women and men. They were targeted due to the reason the US Special Ops team was air-dropped just ahead of them however, they were not insurgents. In a day when even the U.S. border patrol has spent $ 1 million on simulating its job, the prize money of this competition rightly tells us that the U.S. Air Force doesn’t know what to do in this situation and is just looking for ideas to set the correct path through this competition for future multi-million dollar projects for big defense corporations but till then, let’s hope they don’t kill innocent helpless civilians under their own skies claimed to be governed by an Air Force of international standards. You rightly portrayed the bloody game being played in Tribal areas of Pakistan. The Pakistani nation is without a leader now. The ego less and coward rulers have captured the steering wheel and they are driving nation towards the chaos and disaster. Its the international power politics going on, where a true leader can only stand in the way of cruel and brutal forces. May Allah give Pakistan a true leader.